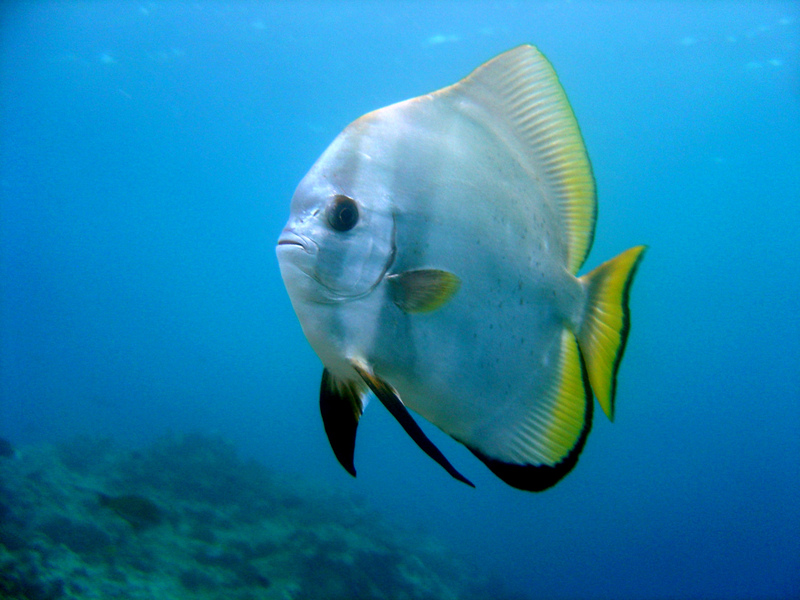 Yesterday I went to the Great Barrier Reef for the first time and one of the fish that I saw was the orbicular batfish. These beautiful fish grow up to 50 cm long. Orbicular batfish have an important role to play in their environment as they eat a lot of seaweed, stopping the weeds from taking over the reefs where they live. They also eat small fish and crustaceans. They also eat turtle poo and can often be seen following sea turtles, waiting for them to go to the toilet. The young batfish are very well camouflaged and hide in mangroves and lagoons, whilst the adults have very few predators, so they swim in more open waters. Orbicular batfish are found in reefs, channels and deep lagoons in the Indian Ocean, Pacific Ocean, Red Sea and the Persian Gulf. Are there any other interesting facts that you would like to share about orbicular batfish?